The first seeds were sown in 1964 by Shri Sukhdeo Prasad Baranwal when he founded Guide Publications and launched the Military Yearbook, a truly pioneering publication in the realm of defence information and analysis. From then to now, SP Guide Publications has grown like a mighty oak tree, nurtured by its Editor-in-Chief and Publisher Mr. Jayant Baranwal. It was the vision and the desire of a nationalist, journalist and author – Shri S.P. Baranwal – to render service in his own way to the armed forces, saw the birth of the Military Yearbook. His notable written works include ‘Measures of Civil Defence in India’; ‘India Faces War’; Guide Almanac and Yearbook; ‘Swatantra Bharat Ki Veergatha’; ‘Eent Ka Jawab’ and many more, all reflecting his intense nationalist leanings. He left behind a rich legacy imbued with his integrity, principles and unflinching adherence to truth. The baton passed on to Mr. Jayant Baranwal, under whom SP Guide Publications continues to flourish. "Guide Publications" was re-christened as "SP Guide Publications" by prefixing "SP" as a tribute to the Founder. It has been a glorious journey spanning 50 years (Golden Jubilee), marked by several milestones. At regular intervals, SP Guide Publications has not only added niche magazines to its portfolio, but also facilitated in networking the industry and the end-user through different channels, thus becoming a comprehensive domain-specific media house. The global reach of all its publications are a testimony to its growing presence and its publications are internationally audited. The magazines are driven by high quality content, thanks to its panel of editorial staff, some of whom have held high posts in the military and in the industry. SP’s Aviation – Launched in 1998, SP’s Aviation focuses on both military and civil aviation. It offers information and analysis that is cutting-edge and highly beneficial to the sector. The mantra has been to provide ‘sharp content for a sharp audience’. SP’s Land Forces – Launched in 2004, SP’s Land Forces is a bi-monthly magazine exclusively dedicated to land forces. It provides a comprehensive scenario of the armed forces not just in India, but also the Asia-Pacific region. It has the distinction of being the first truly army journal in the world. SP’s Naval Forces – Launched in 2006, SP’s Naval Forces is the one and only magazine dedicated to the Navies of the world, from the region. On a bi-monthly basis, it endeavours to provide a sea of information on naval trends, technologies, markets and analysis. SP’s AirBuz – Launched in 2008, SP’s AirBuz is a forward-looking and resource-rich magazine on civil aviation sector, further opening up the potential for growth not just in India, but across Asia. SP’s M.A.I. - Launched in 2011, SP’s M.A.I. (military, aerospace and internal security) is a fortnightly which provides quick updates and analysis on securing a nation. SP’s ShowNews – SP Guide Publications brings out SP’s ShowNews at key aviation and military events in India and elsewhere, thus giving a ring-side view to the professional on the move. As a responsible publication group, SP Guide Publications has been partnering with the industry and the military in organising events; conferences and other related activities which go to enhance the thinking process. SP Guide Publications has created a record of sorts by being the one and only publication to become the ‘Key Official Media Partner’ for successive events such as Aero India; India Aviation; DefExpo among others. As a pro-active industry player, SP Guide Publications is a member of several organisations such as the NBAA (National Business Aviation Association) of USA; the Business Aircraft Operators Association (BAOA) of India etc. 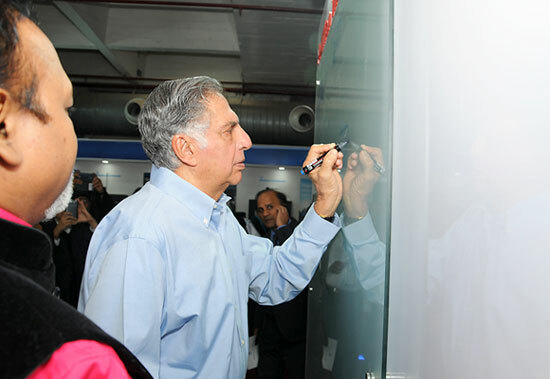 The group is also involved in CSR activity. The Hon'ble Prime Minister is happy to learn that SP Guide Publications is celebrating Golden Jubilee of its publication. I congratulate for your 50 years long journey in serving your readers interested in aerospace and defence sectors. It is really a commendable job and deserves to be applauded. I am very happy to know that SP Guide Publications has completed 50 years of its fruitful existence. 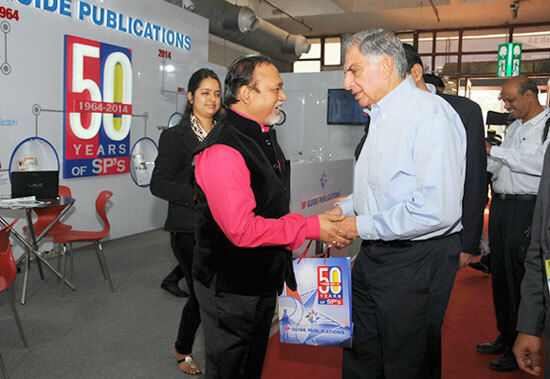 My abundant best wishes to SP Publications on your glorious journey of 50 years. May you grow from strength-to-strength in times to come; This I pray. Felicitations from the entire Army Aviation fraternity to our extremely informative professional ‘Media house’. Happy Landings. Congratulations on 50 Yrs. Great partnership over the years..